Sprouts: Radio From the Grassroots is a 29-minute weekly program coordinated out of the Pacifica Affiliates office, dedicated to showcasing radio content produced at community radio stations and independent production groups. 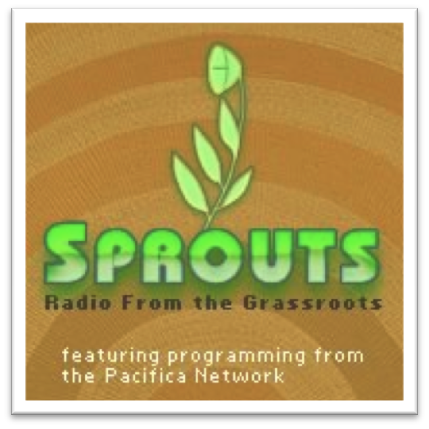 Sprouts celebrates grassroots voices and is renowned for bringing diverse topics to national and international audiences. It is an open door for grassroots radio producers who wish to easily get widespread attention for a particular production, story, or issue.